Euro-matic Floating Cover Balls provide highly effective solutions to difficult liquid storage problems throughout processing, petrochemical and metal treatment industries. 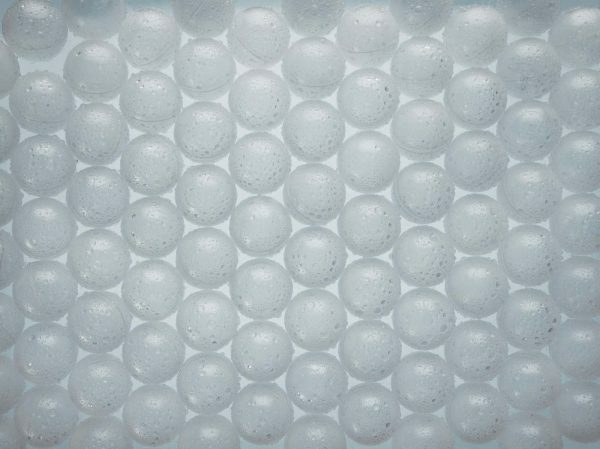 By placing hollow plastic balls onto the surface of a liquid, they arrange themselves into close packed formation covering over 91% of the surface area reduces gases, retaining heat and chemical smells and ultimately evaporation. We offer our technical balls in various sizes dependent on the tank sizes they will be applied to, although their effectiveness never changes irrelevant of size. We produce all balls in a variety of plastics and our customer service team can not only work out the volume you would need for coverage but also answer any chemical questions you may have to ensure you are making the best solution. Croffles are an easy to install and low maintenance solution that improves the working environment in an instant and saving factory running costs the moment they are applied.